Recognized as a pioneering force. For the last twenty years, Coniglio’s artistic practice has included the creation of custom interactive systems that allow performers to manipulate video, sound, and light in real-time. As a result of artisticsoftware tool that provides deep interactive control over digital media. Isadora has become the tool of choice for thousands worldwide, including such notables as Francis Ford Coppola, The Wooster Group, and the Royal Shakespeare Company. As part of Troika Ranch, Coniglio has been honored with a New York Dance and Performance “Bessie” Award, a prize at Prix Ars Electronica, and an “Eddy” award from Live Design magazine. In 2012, Coniglio received the World Technology Award from the World Technology Network and its partners CNN, and TIME magazine. The prize recognized his broad contribution and long-term legacy as an artist, technologist and as a teacher. 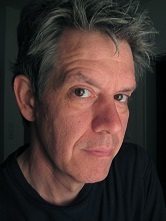 In Mark Coniglio’s keynote, he will use his history as a creator media intensive performances for the stage to explore how collaborative practice can fuel invention and innovation. When we re-use digital materials we are, by default, collaborating with the creator of those materials on some level. How can the working methods of choreographers, composers, designers, and dramaturges, the knowledge and artistic urges they bring into the room, and the limitations they together encounter, inform the process of digital collaboration? Coniglio will propose that this model, which echoes the Hackathons taking place at this conference, not only fuels invention but offers the possibility to so radically transform appropriated materials into something genuinely new.